ContentMX drives more conversations with quality relevant content, delivered through interactive email newsletters, blogs, social media and microsites. The ContentMX Cloud helps accelerate customer engagement by coordinating and enhancing content marketing efforts through original and curated content, socially-enabled newsletters that promote sharing and campaigns that capture leads. ContentMX Cloud integrates with your existing technologies, simplifies your marketing automation workflow and improves brand compliance to create a unified, coordinated content experience across your organization. 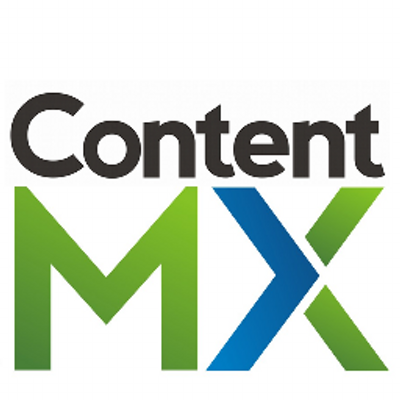 ContentMX Cloud solves the content marketing engagement dilemma for enterprise marketers, channel partner organizations and SMBs. ContentMX is an intuitive content marketing platform that helps companies define and implement a professional content strategy across blogs, social media and email newsletters using their existing marketing tools. ContentMX enables modern digital marketers to combine all the elements they need to turn content into conversations, improve google rank, increase inbound traffic, nurture leads, amplify brands, promote sharing and create engagement. Original and curated content is delivered through interactive newsletters, blogs, social channels and microsites. ContentMX streamline processes, triggers social engagement and creates an ongoing echo to accelerate your results and directly impact sales. The ContentMX Cloud Technology and Services include: Original Content: Original content in your voice tells your story and positions you as thought leaders in your field. Content Curation: Relevant content is easily curated to enhance and validate your message and directly post to your website, blog, social media and newsletter. Socially-Enhanced Newsletters: Branded, responsive and mobile-friendly newsletters are easy to create, allow you to directly embed social conversations and integrate with blogs. Conversation Site: More than a blog or landing page, conversation microsites use your content to ask questions and drive conversations, comments are automatically tweeted out to continue the echo of your message. Multi-channel campaigns: Tie your content efforts directly into campaigns and improve reader engagement with calls to action. Gamification options amplify your message. Custom branded microsites optimize your lead capture. Powerful Platform to Optimize your Content Strategy: Our intuitive platform allows you to automatically distribute and deliver your original and curated content, and campaigns, to newsletters, blogs and social media, with full analytics to track and analyze your results.